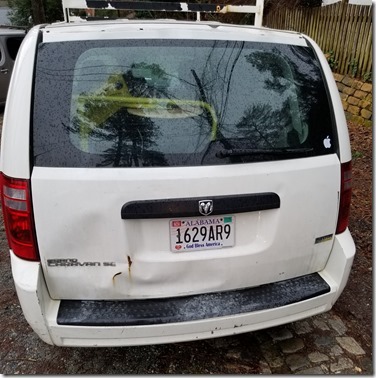 Returning home from the gym yesterday, I found the alley blocked by a vehicle. 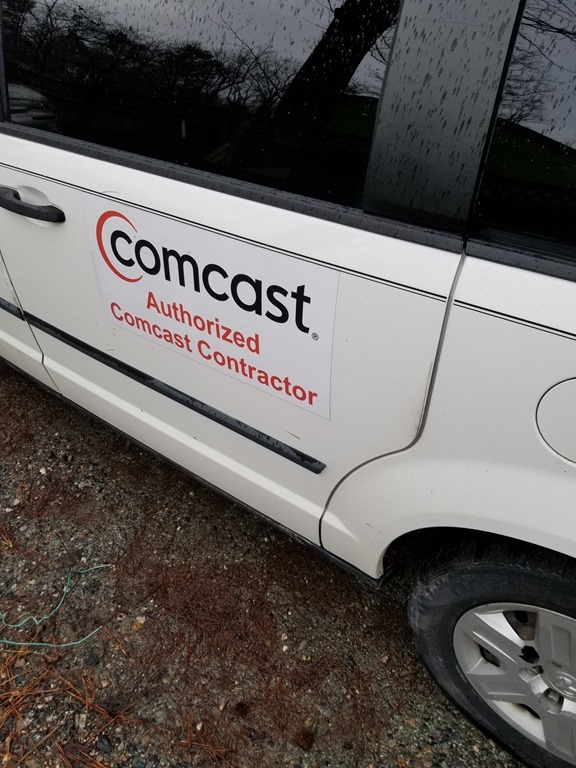 Judging from the sign on the side of the vehicle, the driver is a Comcast contractor (without the required Virginia plates, it seems). Getting no response from a polite honk of my horn, I resorted to a more robust sounding. 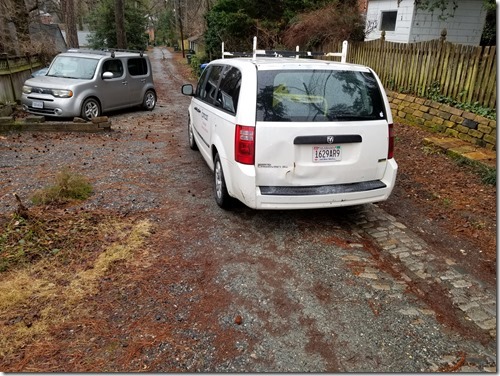 That produced the driver, walking down the (empty) driveway of the house to the right and rear of this picture. I asked if he would move the car. He said no. 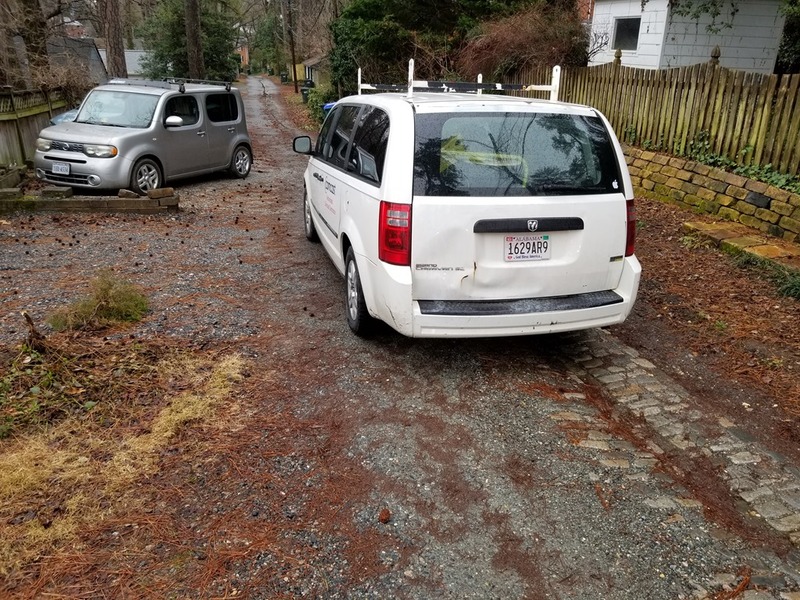 I turned around and drove around the block to get to the other end of the alley, thinking unkind thoughts about Comcast. 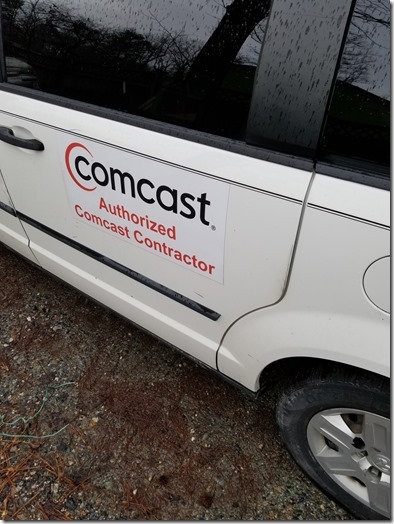 This kind of behavior does not improve Comcast’s (already less than wonderful) reputation.